Matching Opportunity! Double Your Gospel Impact! Your personal, faith-building, and practical Bible teaching. 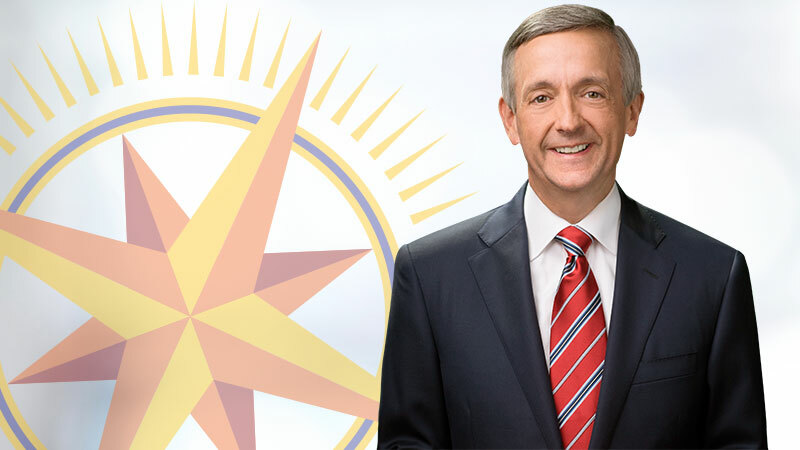 Features devotions authored by Dr. Jeffress to help you grow your faith in the year ahead! 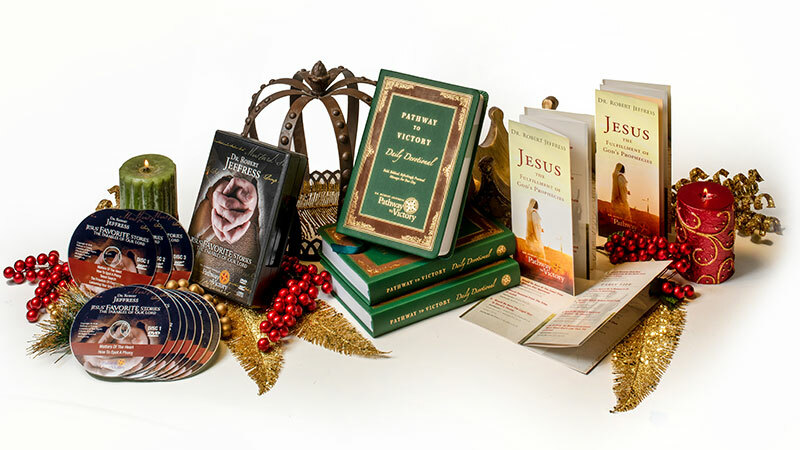 And, “Jesus: The Fulfillment of God’s Prophecies” brochure and the powerful CD/DVD set, Jesus’ Favorite Stories DVD/MP3-format CD set. This 15-message series is one of Dr. Jeffress’ personal favorites! It explores the awesome parables of Jesus, drawing out practical and challenging applications to guide you, as a believer, in your walk with Christ..
$750,000 Gospel Hope Matching Challenge doubles your impact to give the greatest gift this Christmas — the transforming Word of God — to a world in desperate need! and request the 2019 Pathway to Victory Daily Devotional and receive Jesus: The Fulfillment of God’s Prophecies brochure as a bonus gift. 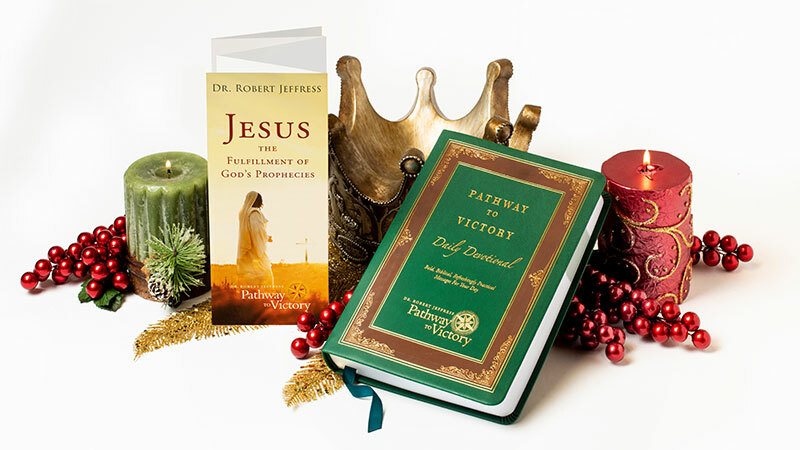 and request the 2019 Pathway to Victory Daily Devotional, the “Jesus: The Fulfillment of God’s Prophecies” brochure, and Jesus’ Favorite Stories MP3 audio CD/DVD set. 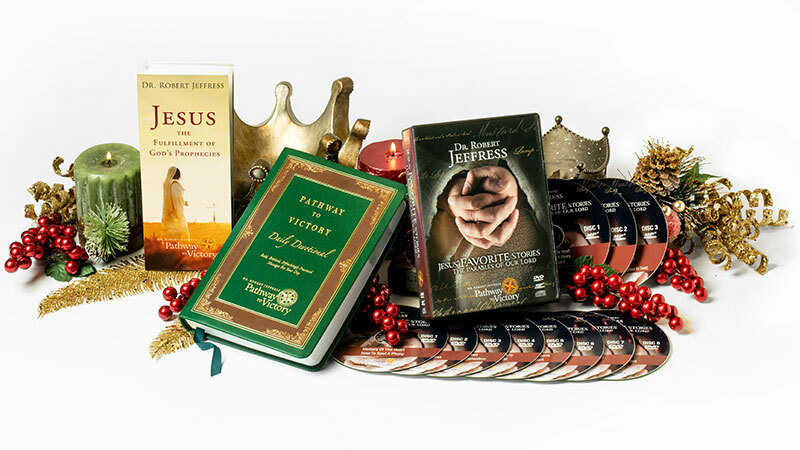 and request 3 copies of the 2019 Devotional, the “Jesus: The Fulfillment of God’s Prophecies” brochure, AND Jesus’ Favorite Stories MP3 audio CD/DVD set. and maximize my donation to the ministry. Please do not send any resources.